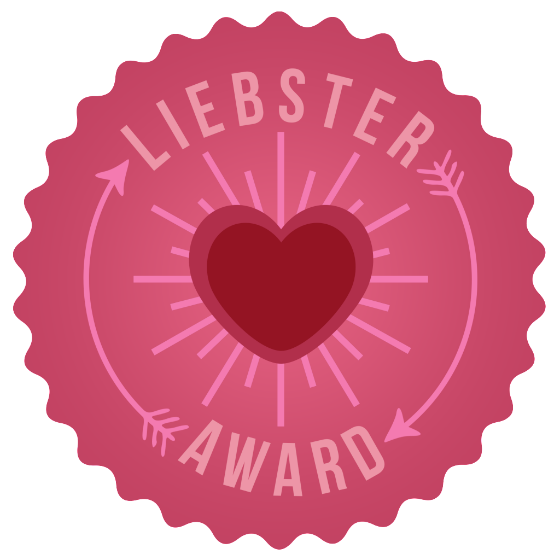 Thank you so much to Joski Byrne who has kindly nominated me for the Liebster Award: a blogging award celebrating and giving recognition to up and coming blogs! 1. I love reading, my favourite genres vary from Young Adult Fantasy to Classics. 2. I dye my hair ginger using henna. 3. When I was 20 I travelled around the US by myself for a month. 4. Alternative Rock is my favourite music genre, though the bands I like are quite varied. 5. I cried when I turned 18 because I thought I was officially old (I was wrong!). 6. I wear black the majority of the time, though some red has crept itself into my wardrobe since I started dying my hair! 7. I was born and bred in London, though my mum's side of the family is Iranian and my dad's side is American. 8. I was expelled from school age 16 due to rarely attending - I wasn't a rebel, just an unhappy teenager! 9. I have so many different hobbies and interests, which stresses me out because I know I can't pursue all of them! 10. I have an irrational fear of doppelgangers. 11. Summer is my least favourite season. I've been blogging on and off on various platforms since I was a young teenager, using it as a way to express myself through words and pictures. I actually can't remember what prompted me to decide to start blogging 'seriously' this time around though! 2. What is your favourite thing about yourself? This is harder to answer than it should be, but I think i like that I'm unique (or so I feel that I am). 3. What is your least favourite thing about yourself? I have a lot more to choose from here unfortunately! But I wish I was more easy going, I suppose. 4. Where in the world would you most want to travel if money was no object? I would love to see the west coast of America, I've only ever got as far west as Nebraska when I've visited there. 5. Who is your idol, living or dead, and why? I wouldn't say I have an 'idol', but Lana Del Rey is my favourite female singer, and not only do I admire her music but the fact that she says things in her songs that most people wouldn't. 6. If you could choose one talent what would it be? Either to be better at singing or to be able to draw well. I'm so jealous of people who are really good at either of those things! 7. What is the last book you read and what did you think? The last book I finished reading was The Potion Diaries by Amy Alward, and it was such a fun read! 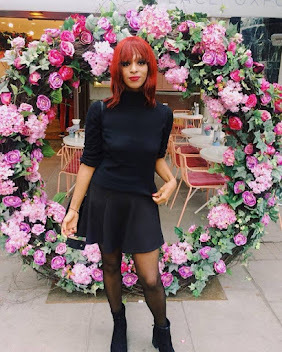 9. Who is your favourite blogger? I find this a difficult question to answer as I feel that I'm discovering new bloggers every day at this point and haven't settled on a 'favourite' one yet. But out of the 'big' bloggers I've always really liked Sprinkle of Glitter. 10. Where is your happy place? In my bed with a marathon of a TV show I'm loving being played on my laptop and a YA fantasy book under my pillow. 11. Where do you hope to see your blog in a year? I hope that in a year I will have a loyal following of people who genuinely love my blog and that I'm making posts that I'm proud of! Thank you for the great questions Joski! 1. What are some of your hobbies aside from blogging? 2. What is the blog post that you're most proud of? 3. Which 5 websites do you spend the most time on? 4. Do you like to read? What is your favourite book? 5. What are your biggest blogging goals? 6. How would you describe yourself in 3 words? 7. What is your favourite sweet/dessert or snack (if you don't like sweet things)? 8. What's one subject you could happily talk about for hours? 9. What do you find is the most rewarding part of blogging? 10. Which decade in history do you find most intriguing/like the style of most? 11. What's been your favourite day/moment of the year so far? Thank you so much for nominating me! xoxo! When I turned 18 I definitely thought I was old, now I'm turning 22 and I feel so young! ahha funny how that works!